One hundred years ago this week on 14 April 1919 a conference of representatives of the medical profession in Cork, the Public Health Committee of the Corporation, and the City Insurance Committee, was held to consider a scheme of how the Tuberculosis Act could be advanced further in Cork. The Tuberculosis Act was passed in 1908 but was not overtly followed through on primarily due to inadequate treatment facilities and a general lack of obligation by the public to declare infection if contracted. Nationally since 1904, there had been a reduction of tuberculosis mortality amounting to about 25 per cent and noticeably found amongst persons between 25 and 35 years old. In Dublin the death rate in 1917 from tuberculosis was 23.3 per cent under that of 1907. In his report on the health of Cork City in 1917 Dr Denis O’Donovan, Medical Officer of Health noted high rates of contraction of tuberculosis; “the city of Cork possesses the unenviable notoriety of having the highest consumptive death rate of any town in Great Britain and Ireland. There were 202 or about 1/7 of the total number of deaths registered during the year, showing a slight diminution when compared to the previous year”. In late March 1919, the scheme of the National Health Insurance Commission set out that the Corporation of Cork should be asked to commit themselves only to such expenditure as would enable a beginning to be made, to roll out a tentative scheme. There was no suggestion made that the Corporation were responsible and should incur any capital expenditure to the erection of a new dispensary or to the purchase of beds in institutions. 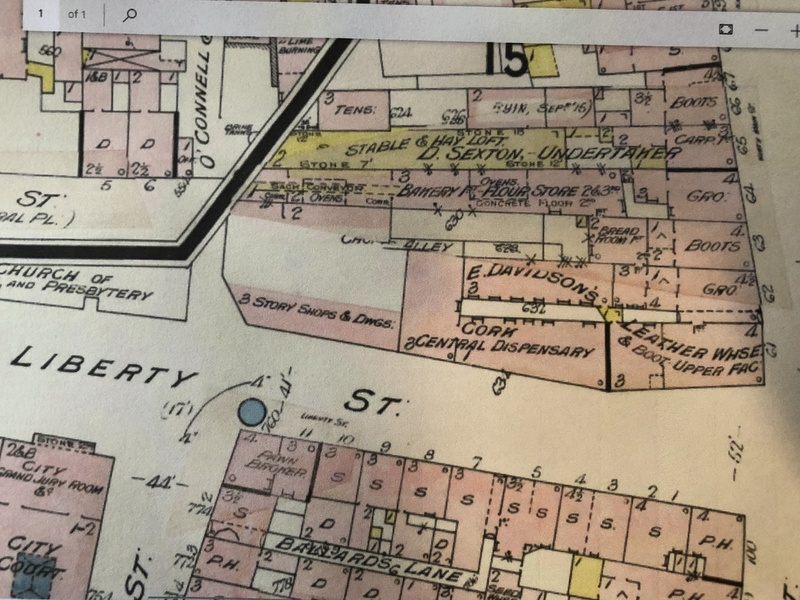 An argument was presented that the existing premises on Liberty Street should be revamped and adapted for tuberculosis treatment and that beds in local hospitals should be secured at a certain sum per week, as and when required. At the Cork conference of April 1919 Mr John Horgan presided with Doctors Crosbie, Rahilly and O’Donovan. The proposals made at the meeting and published in the minutes of the meeting in the Cork Examiner include calls for: (1) the appointment of a tuberculosis officer; (2) the establishment of a central dispensary; (3) the appointment of a whole-time nurse in connection with the dispensary, and the appointment of a part time nurse to assist her in visiting domiciliary patients; (4) beds in a sanitorium; (5) facilities for hospital treatment of surgical cases of tuberculosis; (6) the treatment as far as possible of advanced cases of tuberculosis and (7) the payment of fees to doctors in connection with the treatment in their own homes of those patients who would be unable to attend at a dispensary. The net cost of the scheme with such latter elements after deducting the contribution of the Insurance Committee, would be £1,547 13s 4d of which one half £773 16s 3d would be paid by the Treasury, leaving £773 16s 3d to be borne the rates of the city. The secretary of the Conference Mr M O’Keeffe read a briefing received from the honorary secretary, Philip G Lee of the Cork medical profession. The unanimous feeling of the profession was that the proposed scheme was useless, as regards the prevention, detection and treatment of tuberculosis. They deemed that it was drawn up without technical knowledge of methods likely to be of service to check how tuberculosis was spreading in the district and what combination of local factors was leading to a relevant high deaths rate. The medical profession outlined that elements needed to be taken more into account such as overcrowding, insufficient ventilation within dwellings, insufficient scientific inspection of the dairies, cattle and milk supply outside the borough. The disease was spread amongst children through the ingestion of infected milk and non-medical inspection of schools. Compulsory notification and isolation of advance cases were needed. In 1916, it was estimated that there were 1960 cases of phthisis or tuberculosis in the city but only 15 cases were notified. Central to any treatment of disease was the City Dispensary on Liberty Street. Built in 1878 it replaced a dispensary on Hanover Street. Minutes of the Cork Corporation’s Improvement Department for 8 March 1878 reveal that it aided in the widening of Liberty Street as the Deeble’s Mills were demolished and new buildings put further back as a result. The running of the Dispensary was overseen by the Corporation’s Dispensary Committee in association with the City’s Board of Guardians. Its early years was plagued by reports that such was the use of the services that conditions within the building were unsatisfactory and unsanitary. Fast forward to 27 February 1917 and the Superintendent Medical Officer of Health Dr Denis O’Donovan reported he visited the dispensary on 25 February and found 45 persons, including men, women and children, standing in the hallway, outside the two rooms occupied by the doctors of numbers six and seven dispensary districts – the most populous ones in the city. The hallway was narrow, badly lighted, and not well ventilated, and there was a water closet situated at the far end in what was deemed a “most unsuitable position”. There was only seating accommodation provided in the hallway for ten persons, and if a case of infectious disease was found there in its early stages – a danger existed of it spreading rapidly. The poor conditions within the dispensary building was regularly critiqued in the Cork media. The building itself was sold in 1946 for new uses. Kieran is also showcasing some of the older column series on the River Lee on his heritage facebook page at the moment, Cork Our City, Our Town. Sunday 14 April, Stories from Cork Docklands, historical walking tour with Kieran, learn about the evolution of Cork’s Docklands from its early days through its historical maps, 19th & 20th century industrialisation to housing and community building; meet at Kennedy Park, Victoria Road 2.30pm (free, duration, two hours, area tour, part of the Cork Lifelong Learning Festival, finishes nearby). 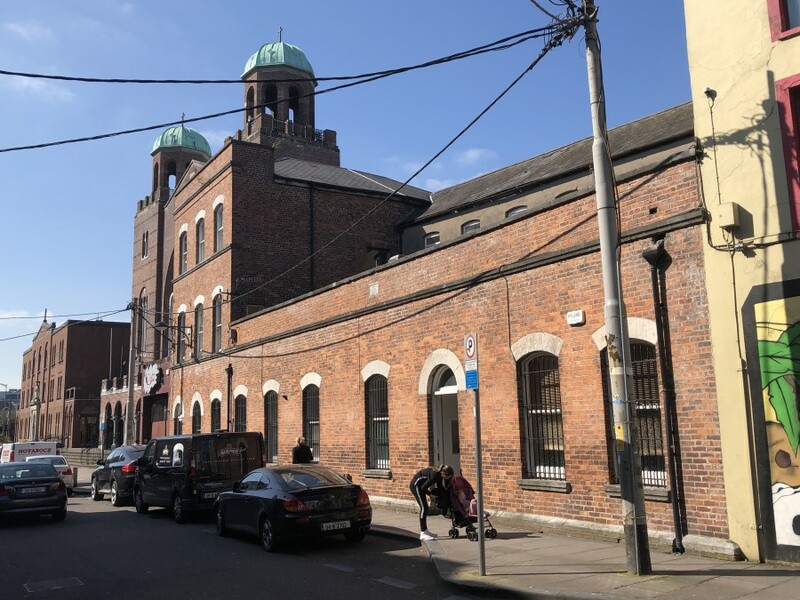 Sunday 21 April 2019, Ballinlough Historical Walking Tour with Kieran, learn about nineteenth century market gardens, schools, industries, and Cork’s suburban standing stone, meet outside Beaumont BNS, Beaumont 2.30pm (free, duration: two hours, finishes on Ballinlough Road).